Broadway is just one of the many attractions in NYC. With some of the most unique, educational, and entertaining things in the world to do, there is something for everyone. Below you will find some suggestions from our partner, New York City & Company, which are suitable for various age groups and cater to a variety of interests, along with contact information and some information about each one. Click on the logo to go to the attraction’s website for more details. Description: More than a museum, Discovery Times Square is the destination for discovery through unique and immersive exhibits in New York. Here, events epic and rare come to life by connecting you to the greatest human stories ever told. Intelligent, exciting, and moving – it’s the experience that counts. 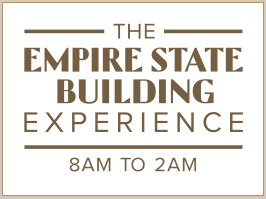 Description: A beacon for international and domestic tourists alike, the Empire State Building offers unmatched views of New York and neighboring states from its world-famous 86th and 102nd floor observatories all year long. Description: The High Line is an elevated railway transformed into a public park on Manhattan’s West Side. The park features lush horticulture, artworks, seasonal food vendors, community programing, and unique views of the Hudson River and New York City skyline. 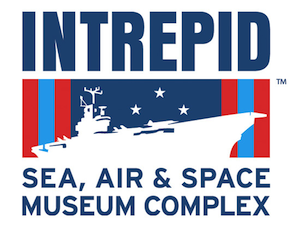 Description: The Intrepid Sea, Air & Space Museum is the only museum where visitors can experience a legendary aircraft carrier, the first space shuttle, the world’s fastest jets, and a Cold War-era submarine. Welcoming more than one million visitors a year, the Museum is using history and technology to inspire and advance innovation by developing the next generation of leaders in science, technology, engineering, and math. 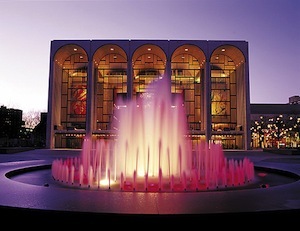 Description: Lincoln Center (Lincoln Center for the Performing Arts) serves three primary roles: world’s leading presenter of superb artistic programming, national leader in arts and education and community relations, and manager of the Lincoln Center campus. Description: Madame Tussauds is an interactive ‘must do’ attraction providing guests with unique opportunities to create personal memories with some of the World’s biggest celebrities. With over 220 world-renowned figures with whom visitors can get up close and personal Madame Tussauds is a virtual ‘who’s who’ of motion pictures, television, sports, and music as well as influential world leaders, historical figures, and celebrities. Description: Many people come to New York hoping to make it to the top, and the fastest way there is the elevator—to the 67th, 69th or 70th floors at 30 Rockefeller Plaza. The three 360-degree-view observation decks at Top of the Rock showcase the City’s spectacular skyline. Although you won’t be able to see the skating rink or Christmas tree from up high, be sure to visit these seasonal attractions when you come back down.